The Monaco Yacht Show remains to this day the main event in the superyacht industry despite rising competition from other venues. A position that Informa, the parent company of the MYS, recently consolidated by acquiring FLIBS and other US-based shows. Ahead of the show's start on September 27, we've created a list of the largest yachts attending the event. The largest yacht ever built in the Netherlands, Jubilee was delivered earlier this year by Oceanco to an exterior design by Igor Lobanov. 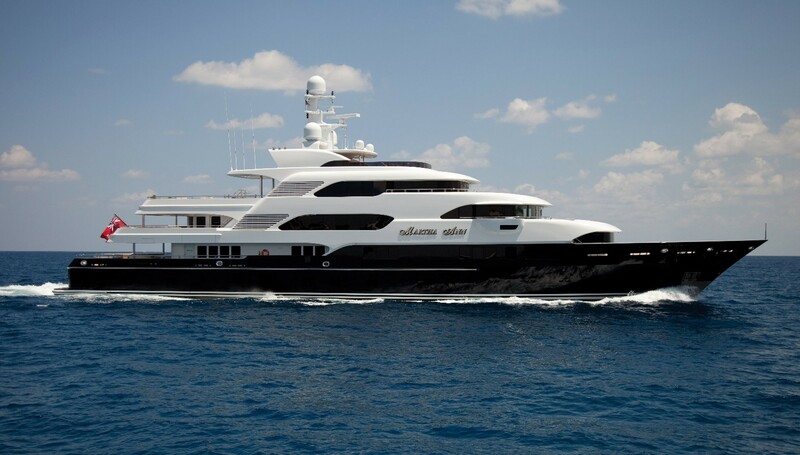 The yacht can carry a total of 31 guests in 16 cabins catered to by a crew of 45. Key amenities onboard include a swimming pool with a built-in aquarium, a helipad and a large beach club. 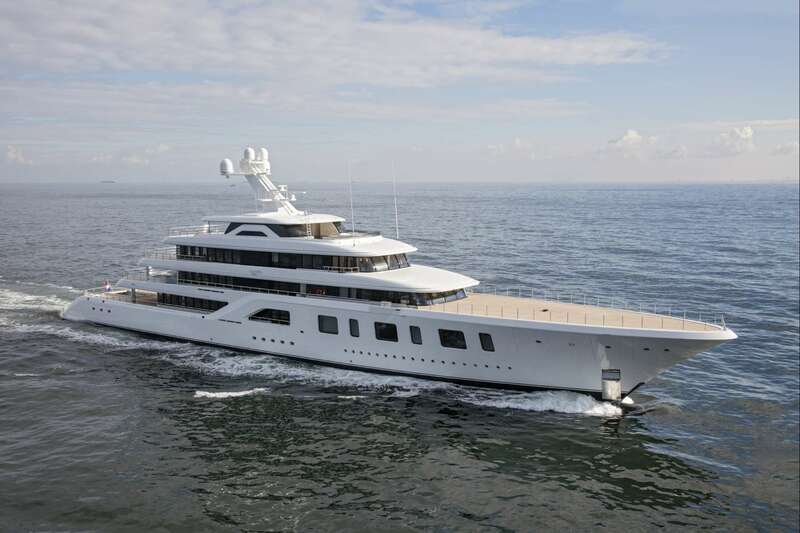 92-meter Aquarius (Project Touchdown) was launched by Feadship in September 2016. The superyacht features a resolutely contemporary exterior design with a number of archetypal Feadship elements, such as a conventional bow and raked superstructure shape. The profile comes from the boards of the Dutch company Sinot Exclusive Yacht Design, which was also responsible for the interior design together with the owner's design team in close cooperation with Feadship De Voogt Naval Architects. 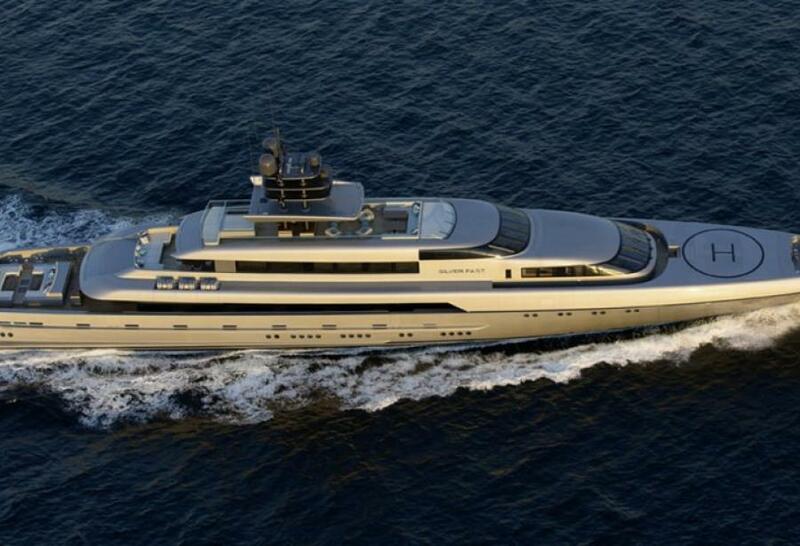 Designed throughout by Winch Design, Lurssen's Areti features a large master suite with 8 additional guest suites. Amongst her amenities are an extensive spa area featuring a sauna, a hammam, a jacuzzi and a plunge pool located near to Areti's beach club. Launched in Harlingen in March 2016, 77,4m yacht Legend features naval architecture and exterior styling by Diana Yacht Design, interiors by Thom Beerens and Jan Verkerk. 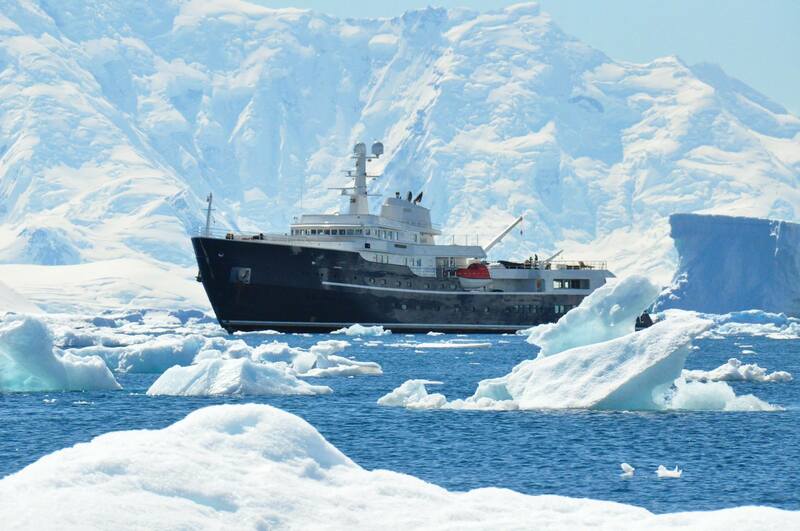 Originally constructed in 1974 by the IHC Holland shipyard, the tranformation into an icebreaking passenger ship with a 1B-Swedish / Finish classification took place at Icon Yachts. Moreover, the vessel was lengthened in the stern by 3,6m, whilst her superstructure was completely redesigned and her mast rebuilt. One of the most alluring features is Legend's swim platform and a large swimming pool/Jacuzzi. In addition, she has a luxurious submarine for underwater exploration. Other amenities include a fitness room, movie theatre, medical suite, bar and BBQ areas. Performance wise the superyacht is powered by Smit-Bolnes engines, providing her with a top speed of 16 knots and a cruising speed of 13 knots. 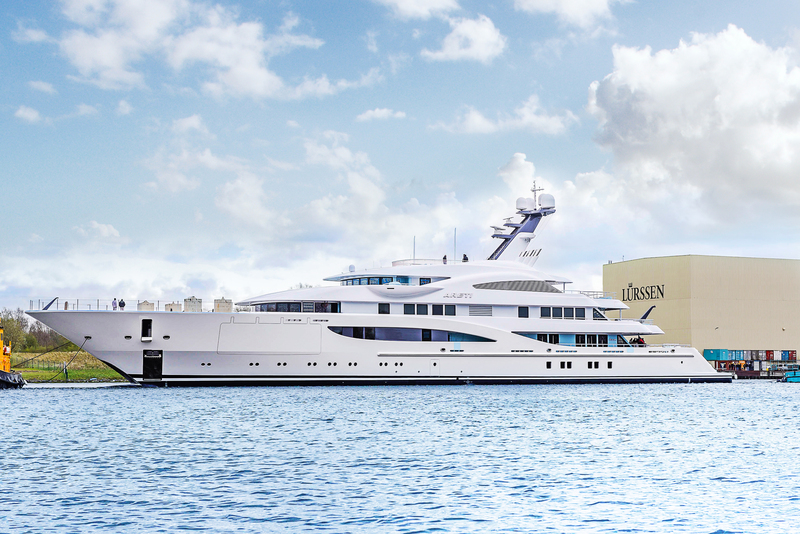 The 77m superyacht Silver Fast was launched by Silver Yachts in 2015. The exterior was designed by Espen Oeino, representing the most advanced, eco-fuel efficient vessel in the revolutionary silver series. Silver Fast is the fastest long range cruising yacht-4,500 nautical miles at 18 knots and 6,000 nautical miles at 14 knots with an already proven capability to effortlessly complete long passages in every sea state. Moreover, this superyacht represents the world's largest and fastest aluminium motor yacht with conventional propulsion in terms of length to speed ratio. Silver Fast is capable of crossing the Atlantic at approximately 22 knots cruising speed. Delivered by Italian shipyard CRN, part of Ferretti Group, Cloud 9 became a replacement for her owner's previous 61-meter CMN of the same name. With an exterior by Zuccon and an interior by Winch Design, Cloud 9 is able to accommodate up to 16 guests (12 when chartering) in a master suite, a VIP suite and 6 guest cabins catered to by a crew of 22. Designed by Reymond Langton Design studio with contemporary interior conceptualised and furnished by the renowned designer Mark Berryman, the 73,5-meter built in Germany by Nobiskrug was formerly known as Flying Fox. Among her features are a luxury beach club, gym on Sun deck, fully equipped private indoor cinema and its outdoor sister. The vessel offers accommodation for 12 guests (cruising and sleeping) in six cabins. 70.2m Martha Ann was built for Warren E Halle and is the latest of three yachts commissioned by the American entrepreneur from Lurssen. 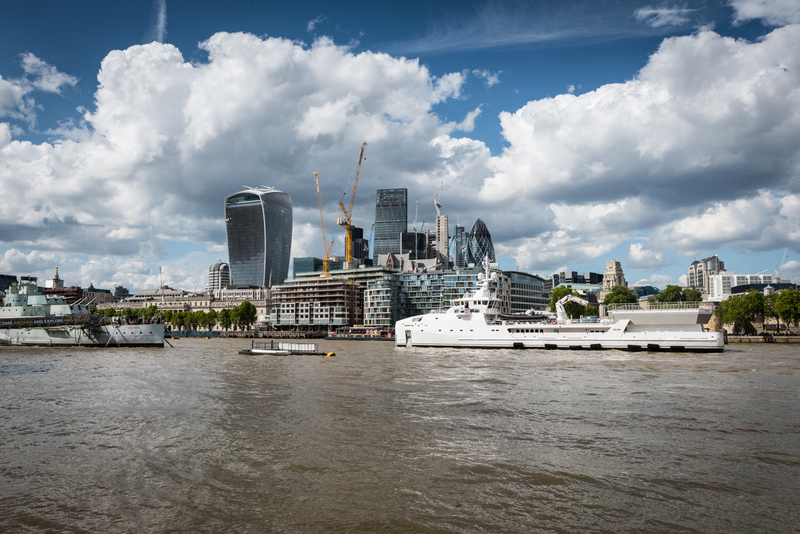 Refitted in 2014, the yacht is classified by Lloyds and MCA compliant. Her 6 cabin-layout can accommodate 12 guests in a full beam master cabin, a VIP on the upper deck and four double cabins on the lower deck. From a technical standpoint, Martha Ann is powered by twin Caterpillar engines of 2,010 hp each giving her a maximum speed of 15.5 knots and a range of 6,000 nautical miles at 13 knots. For maximum comfort, this yacht for sale is fitted with zero speed stabilizers. Built by Dutch shipyard Damen the 70-metre Game Changer was launched in March 2017. The support vessel features a fully certified helideck so owners can take larger helicopters on long range flights to their mother yachts and land safely in a wider weather window. Lowering the helicopter into the hangar protects it from the elements so it is refuelled and available for take-off without causing hassle, disruption and noise on the mother yacht. Benetti has launched 67m superyacht Seasense, previously known as FB268, for an experienced owner who has chosen the Italian brand for the first time. The exterior lines of Seasense are by the Dutch designer Cor D. Rover, while the naval architecture was developed by the shipyard’s technical office. The contemporary styling of the interiors, on the other hand, is the result of collaboration between the Benetti’s architects team and the design studio AREA from Los Angeles, making its debut in the world of superyachts. The layout includes six suites that can accommodate up to 12 guests. 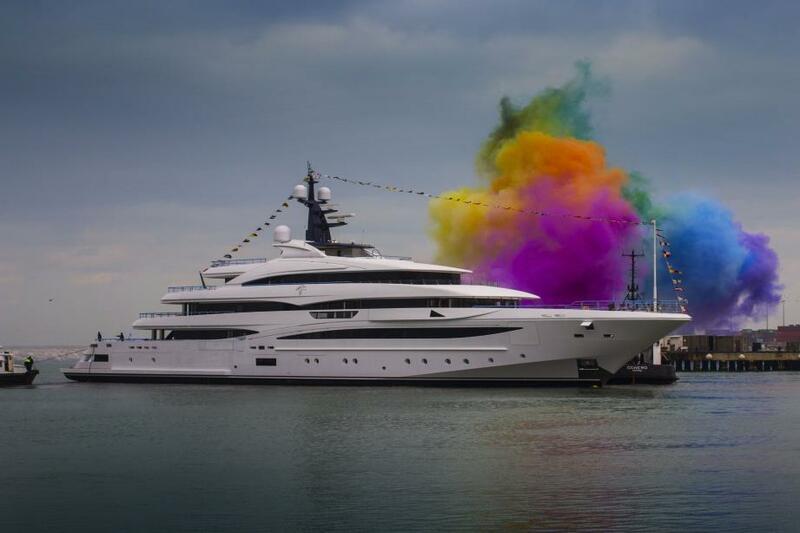 65.7m Infinite Shades is one of the largest yachts ever delivered by Amels. Her Andrew Winch designed interior allows for seven spacious cabins and upper deck spaces. Features include a touch-and-go helipad, wet bar and swimming pool, self-contained tender garage, beach club and a glass elevator serving four of the five decks.